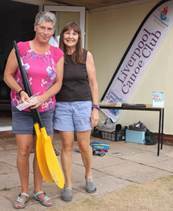 This was the eighth year that Liverpool Canoe Club has run the Hilbre Island Sea Kayak Race based at Dee Sailing Club in Thurstaston. With the tide rolling in at a fast rate of knots it was decided to go for an on-the-water start this year. Precisely at 1pm our secretary, Carole Thomas blasted the hooter and the flotilla was off. With almost perfect conditions and a later start time it was sure to be a fast race this year as the leaders would be rounding the islands at high water. Paddlers had been advised to head inshore of the racing dinghy`s at West Kirby and then to head out to the shallows around the Little Eye. The hot weather brought its own problems, paddlers needed to stay hydrated. 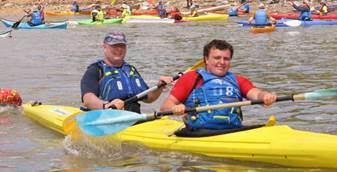 It was great to see the numerous safety kayakers this year marked with yellow High Visibility Vests. 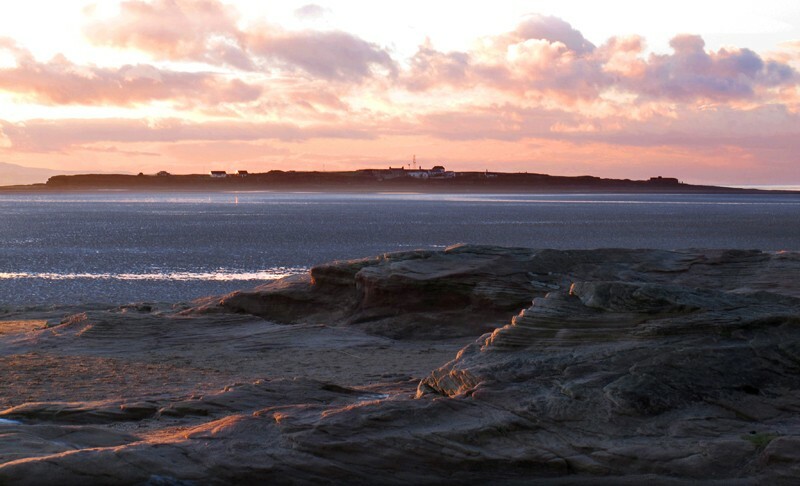 The little eye racers rounded and returned inshore while those heading for Hilbre set off to the outside of Middle Eye and small overfalls on the end of Hilbre. When all kayaks were heading for home the 4 rescue boats (Ridged Hull Inflatables) practised rescuing paddlers with some of the safety kayakers and then shadowed the paddlers back past West Kirby and on to Thurstaston. 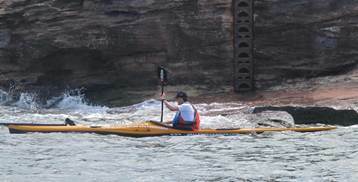 The tide had changed so the remaining paddlers had to fight hard against the ever-quickening ebb tide. Back at the sailing club we tidied up, showered and enjoyed the BBQ and drinks provided by our hosts Dee Sailing Club. 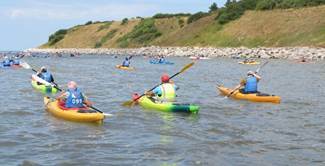 This year Go Kayaking provided a number of demo sea kayaks and items from the shop. 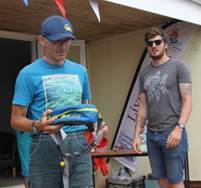 Andy Lees, shop manager also presented the prizes for the Hilbre Island Races while System X and Manchester Canoes donated prizes for the Little Eye and West Kirby Races. Before the main prize giving, Ian Bell received two awards from British Canoeing for services to coaching and Peter Thomas and Kirk Williams were recognised for Cancer Charity Fundraising. 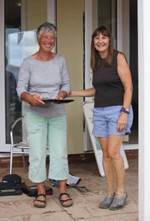 The competitors were able to use the showers provided by Dee Sailing club and enjoy a cold drink and food from the BBQ while we recovered the rescue craft and the safety kayakers followed the final few finishers in. Prizes had been kindly donated by Go Kayaking North West, System X and Manchester Canoes were awarded for the categories above. All the winners also received a trophy engraved by Mike Bell of Cedar Boat Europe. 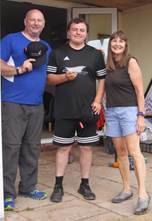 These were presented to the winners by Carole Thomas (Secretary of LCC) and Andy Lees (Manager of Go Kayaking North West). Many thanks to all that took part and helped to make such a great day.